Thunderstorms likely. High 68F. Winds SSE at 10 to 15 mph. Chance of rain 100%..
Ernest A. "Chuck" Keough EAST MONTPELIER — Ernest A. “Chuck” Keough, 87, passed away peacefully surrounded by family on Dec. 31, 2018, at the Central Vermont Medical Center. He was born on Aug. 1, 1931, in Landaff, New Hampshire, to Harold and Myrtle (McGuire) Keough, one of 14 children. In his early years, the family lived in Lisbon, New Hampshire, and Newbury, Vermont, where Chuck helped on the Smith Farm. The family moved “on the hill” in Hardwick where they had purchased home and land. July 28, 1952, Chuck married Beverly Hanson and later divorced. Chuck enlisted in the U.S. Army and was trained as a medic. When stationed in Germany, before serving in the Korean conflict, he found out his brother was in a unit not far from him. In 1960, he received his honorable discharge. In 1962, Chuck found his soulmate, Dorothy Kate Wood, and married her. Dorothy and Chuck lived a few years in Montpelier but later made their home in East Montpelier, where they raised their seven children. For 51 years, they were by each other’s side until her passing in November 2013. 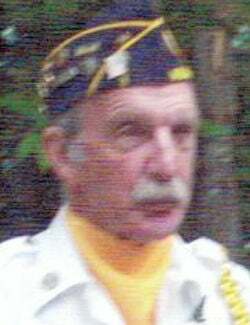 Chuck was a longtime member of the VFW #792 and the American Legion Post #3 of Montpelier. He had held many titles at the American Legion: “Service Officer” and “Officer of the Day” he did for over 20 years and was at one point, the post commander. Chuck is mostly known for his dedication to his role in the Color Guard, where he participated in many dedications, ceremonies, funerals and parades. Chuck was a “Jack of All Trades” but mostly a carpenter and worked many years for Walter Kelly, Huntington Homes and for a short while, Capitol City Press. In his retirement years, he was seen many days sitting on his deck listening to country music or watching his favorite westerns on TV. But the greatest sound was him playing his harmonica. He favored the tune “Waltz Across Texas.” Chuck is survived by his sons Michael Keough and companion Judy, Patrick Keough, Steven Keough, Jeff Keough, all of East Montpelier; daughters Diane Shute and companion Tony, of Queensbury, New York, Mary Smith and husband Dana, of Groton, Rose Keough and companion Chipper, of Barre; many grandchildren and great-grandchildren; sisters Jesse Fisk and husband Philip, of Waterbury, Phillis Roy and husband Bernard, of Hinesburg, Delores Massey and husband Tony of Hardwick; brothers Howard Keough and wife Barbara, of Port St. Lucie, Florida, Gary Keough and wife Barbara, of Hardwick, Rodney Keough and wife Martha, of East Hardwick. He was predeceased by his wife of 51 years, Dorothy; five sisters Annabell Harriman, Elizabeth Keith, Josephine DeForge, Beatrice Smith, Emma Harrisman; two brothers Harold Keough Jr. and Phillip Keough; and a granddaughter, Lisa Marie Kennison. A memorial service with military honors will be held in the spring. Those wishing to express online condolences may do so at www.guareandsons.com.